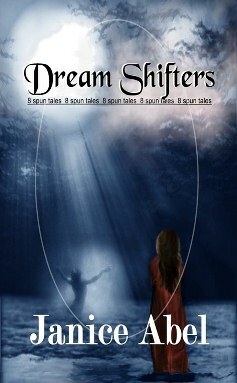 Dream Shifters, is a collection of eight stories. Seven in the collection are listed here and are also available as a single. Why not get all 7 plus one that has been popular among writer friends of the author. Each story begins as an ordinary day in the life of a character but quickly turns to the extraordinary. paper, but does it work and who wrote it. Matt makes a connect with a student he never expects. A wrong prank to make a right. journey- I was glued to the story from the beginning - Awesome with a wicked hook." Escape from wall street, Jen arrives at her annual vacation on Sanibel. But it is different this year. A storm, a dead body, and a romance with a guy that doesn't belong on this beach-at least not in the 21st century.All about a day that changes Jen's look at love forever. suspense, and new found caring and understanding. A Bookrix Contest Winner 2011. Readers say, "Extreme storytelling – loved it.” “I haven’t felt this euphoric after a read for ages.” Wow...it was recommended to me and now I can't stop reading it." Available as an e.book from Amazon.com. Click here. Danger lurks for a woman who has lost her husband. Blinded by her own grief and fears she struggles to make a new life for herself and her children but is caught in deception. Fraud –smuggling - espionage- surveillance, undercover activities all are aimed at this grieving family. The danger becomes apparent, but who is the friend, the enemy? Available as an E-book on Amazon.com . Click here. beings coming from anywhere in the universe and I assure you our planet is safe from any kind of invasion” But is it? Beauty strikes! A short story with a big message. Don’t miss this one. A journey to the high desert of New Mexico, Jen steps off the edge of reality to a lightning event that changes her life forever. A contemporary cowboy shoot out – a lightening filled night, a kiss of a lifetime. Don’t miss this one. Ebook at Amazon.com click here. Ray a charming city boy with plenty of bucks and ambition, swept Amanda, a country girl, off her feet. But now, despite years of city living with her “sweet” Ray, Amanda still yearns for a return to her hometown and convinces Ray to take her back. But will her return measure up to her yearning? What does she find out about herself, and love and.. Ray? Amazon ebook here.